Chapter 1: What ever are we doing? Before we go any further, I have a confession to make: I haven&apos;t been fully honest about that of method we&apos;ve placed on each of our types. Turns out, it is not there to avoid the new keyword, but rather to place values in what&apos;s called a default minimal context. Yes, of does not actually take the place of a constructor - it is part of an important interface we call Pointed. What&apos;s important here is the ability to drop any value in our type and start mapping away. If you recall, IO and Task&apos;s constructors expect a function as their argument, but Maybe and Either do not. The motivation for this interface is a common, consistent way to place a value into our functor without the complexities and specific demands of constructors. The term "default minimal context" lacks precision, yet captures the idea well: we&apos;d like to lift any value in our type and map away per usual with the expected behaviour of whichever functor. One important correction I must make at this point, pun intended, is that Left.of doesn&apos;t make any sense. Each functor must have one way to place a value inside it and with Either, that&apos;s new Right(x). We define of using Right because if our type can map, it should map. Looking at the examples above, we should have an intuition about how of will usually work and Left breaks that mold. You may have heard of functions such as pure, point, unit, and return. These are various monikers for our of method, international function of mystery. of will become important when we start using monads because, as we will see, it&apos;s our responsibility to place values back into the type manually. What we&apos;ve got here is an IO trapped inside another IO because print introduced a second IO during our map. To continue working with our string, we must map(map(f)) and to observe the effect, we must unsafePerformIO().unsafePerformIO(). Again, we see this nested functor situation where it&apos;s neat to see there are three possible failures in our function, but it&apos;s a little presumptuous to expect a caller to map three times to get at the value - we&apos;d only just met. This pattern will arise time and time again and it is the primary situation where we&apos;ll need to shine the mighty monad symbol into the night sky. 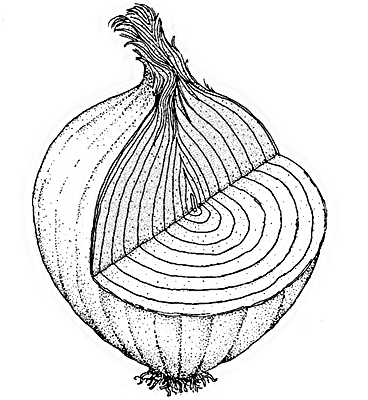 I said monads are like onions because tears well up as we peel back layer of the nested functor with map to get at the inner value. We can dry our eyes, take a deep breath, and use a method called join. There, simple as consuming one&apos;s twin in the womb. If we have a Maybe(Maybe(x)) then .__value will just remove the unnecessary extra layer and we can safely map from there. Otherwise, we&apos;ll just have the one Maybe as nothing would have been mapped in the first place. We added join wherever we encountered the nested Maybe&apos;s to keep them from getting out of hand. Let&apos;s do the same with IO to give us a feel for that. We simply bundle running the two layers of IO sequentially: outer then inner. Mind you, we have not thrown out purity, but merely repackaged the excessive two layers of shrink wrap into one easier-to-open package. getItem returns an IO String so we map to parse it. Both log and setStyle return IO&apos;s themselves so we must join to keep our nesting under control. You might have noticed a pattern. We often end up calling join right after a map. Let&apos;s abstract this into a function called chain. I swapped out any map/join with our new chain function to tidy things up a bit. Cleanliness is nice and all, but there&apos;s more to chain than meets the eye - it&apos;s more of tornado than a vacuum. Because chain effortlessly nests effects, we can capture both sequence and variable assignment in a purely functional way. Anyways, let&apos;s get to the examples above. In the first example, we see two Task&apos;s chained in a sequence of asynchronous actions - first it retrieves the user, then it finds the friends with that user&apos;s id. 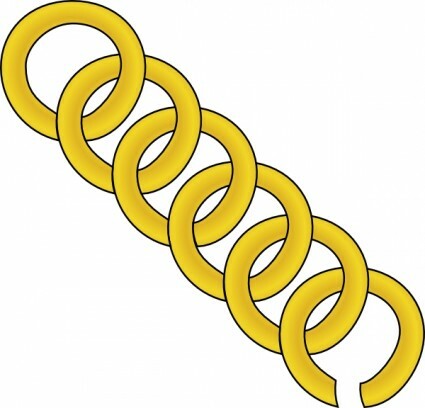 We use chain to avoid a Task(Task([Friend])) situation. Finally, we have two examples using Maybe. Since chain is mapping under the hood, if any value is null, we stop the computation dead in its tracks. Don&apos;t worry if these examples are hard to grasp at first. Play with them. Poke them with a stick. Smash them to bits and reassemble. Remember to map when returning a "normal" value and chain when we&apos;re returning another functor. As a reminder, this does not work with two different nested types. Functor composition and later, monad transformers, can help us in that situation. Container style programming can be confusing at times. We sometimes find ourselves struggling to understand how many containers deep a value is or if we need map or chain (soon we&apos;ll see more container methods). We can greatly improve debugging with tricks like implementing inspect and we&apos;ll learn how to create a "stack" that can handle whatever effects we throw at it, but there are times when we question if it&apos;s worth the hassle. I&apos;d like to swing the fiery monadic sword for a moment to exhibit the power of programming this way. Here, we are branching our code several times. Looking at the type signatures I can see that we protect against 3 errors - readFile uses Either to validate the input (perhaps ensuring the filename is present), readFile may error when accessing the file as expressed in the first type parameter of Task, and the upload may fail for whatever reason which is expressed by the Error in httpPost. We casually pull off two nested, sequential asynchronous actions with chain. All of this is achieved in one linear left to right flow. This is all pure and declarative. It holds equational reasoning and reliable properties. We aren&apos;t forced to add needless and confusing variable names. Our upload function is written against generic interfaces and not specific one-off APIs. It&apos;s one bloody line for goodness sake. Well isn&apos;t that the devil&apos;s arithmetic. We&apos;re pinballed through a volatile maze of madness. Imagine if it were a typical app that also mutated variables along the way! We&apos;d be in the tar pit indeed. The first law we&apos;ll look at is associativity, but perhaps not in the way you&apos;re used to it. Starting with the top left moving downward, we can join the outer two M&apos;s of M(M(M a)) first then cruise over to our desired M a with another join. Alternatively, we can pop the hood and flatten the inner two M&apos;s with map(join). We end up with the same M a regardless of if we join the inner or outer M&apos;s first and that&apos;s what associativity is all about. It&apos;s worth noting that map(join) != join. The intermediate steps can vary in value, but the end result of the last join will be the same. If we start at the top left heading right, we can see that of does indeed drop our M a in another M container. Then if we move downward and join it, we get the same as if we just called id in the first place. Moving right to left, we see that if we sneak under the covers with map and call of of the plain a, we&apos;ll still end up with M (M a) and joining will bring us back to square one. I should mention that I&apos;ve just written of, however, it must be the specific M.of for whatever monad we&apos;re using. They are the category laws after all. Monads form a category called the "Kleisli category" where all objects are monads and morphisms are chained functions. I don&apos;t mean to taunt you with bits and bobs of category theory without much explanation of how the jigsaw fits together. The intention is to scratch the surface enough to show the relevance and spark some interest while focusing on the practical properties we can use each day. Monads let us drill downward into nested computations. We can assign variables, run sequential effects, perform asynchronous tasks, all without laying one brick in a pyramid of doom. They come to the rescue when a value finds itself jailed in multiple layers of the same type. With the help of the trusty sidekick "pointed", monads are able to lend us an unboxed value and know we&apos;ll be able to place it back in when we&apos;re done. Yes, monads are very powerful, yet we still find ourselves needing some extra container functions. For instance, what if we wanted to run a list of api calls at once, then gather the results? We can accomplish this task with monads, but we&apos;d have to wait for each one to finish before calling the next. What about combining several validations? We&apos;d like to continue validating to gather the list of errors, but monads would stop the show after the first Left entered the picture. In the next chapter, we&apos;ll see how applicative functors fit into the container world and why we prefer them to monads in many cases. // then purely log it. // Use getPost() then pass the post&apos;s id to getComments().